Below you will find links to a series of pages I created for our history studies this year. 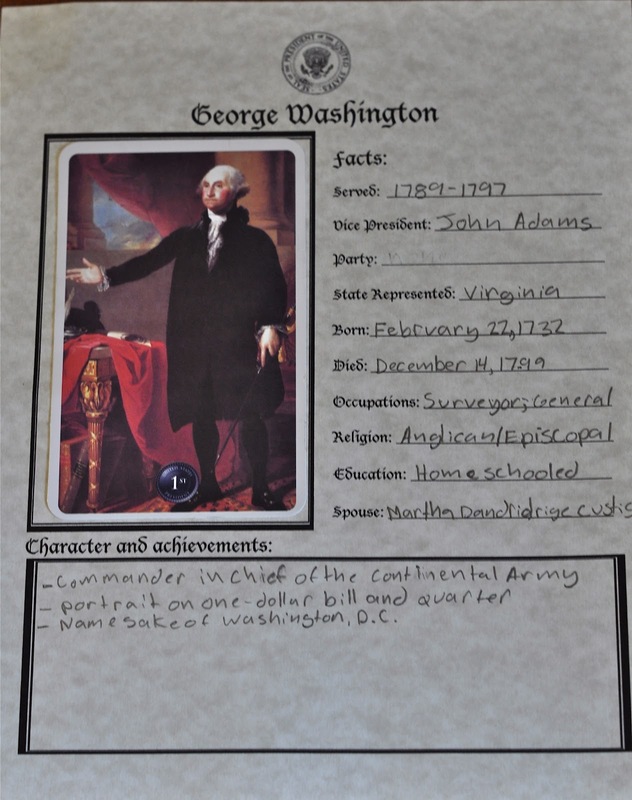 They were designed to be used with a set of presidential flashcards for the image. We are using this set, because I found them for only a dollar at T*rget, but any set should work. You could also allow your child to find or draw their own image. 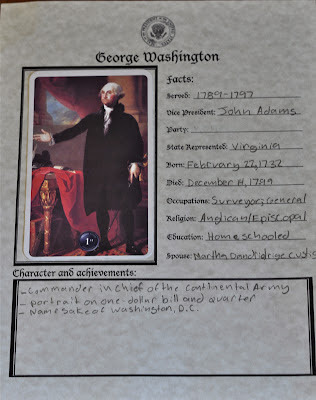 We printed our pages on parchment colored card stock to match our history notebooking pages. Please feel free to use these in your home or co-op, but I ask that you not post them in other locations or use them for profit.